Our self-driving car future may be farther away than the hype suggests. Besides Tesla, self-driving car developers depend on an expensive piece of technology called LIDAR, a laser-based radar that allows an autonomous vehicle to see the road. There are cheaper options, but the MIT Technology Review explains that these more-affordable solutions won’t deliver the kind of data that’s necessary for self-driving cars to operate at highway speeds. A new start-up founded by former Tesla engineers called lvl5 is banking on high-definition maps as being a possible way forward. Companies like Velodyne are working to produce a solid-start LIDAR device; another start-up called Quanergy has a solid-state device of its own in development, and it expects it to cost $250. But, as the MIT story notes, every piece of LIDAR—which stands for Light Detection and Ranging—has its own characteristics. 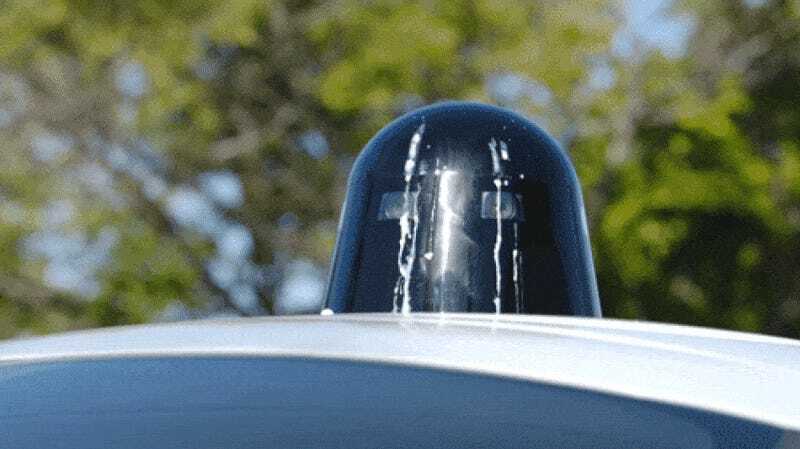 The spinning turret atop a Google-equipped Chrysler Pacifica can be different from what’s on a self-driving Volvo operated by Uber. Velodyne, for example, has a range of offerings. Its high-end model is an $80,000 behemoth called HDL-64E—this is the one that looks a lot like a coffee can. It spits 64 laser beams, one atop the other. Each beam is separated by an angle of 0.4° (smaller angles between beams equal higher resolution), with a range of 120 meters. At the other end the firm sells the smaller Puck for $8,000. This sensor uses 16 beams of light, each separated by 2.0°, and has a range of 100 meters. Tacking on an extra several thousand dollars for a sensor makes robotcars particularly cost prohibitive. And early fully autonomous cars will need perform perfectly with the best equipment to ensure AVs can succeed and win over a currently skeptical public. That’s why solid-state devices are seen as a solution; they’re easier to manufacturer and cheaper. But current options don’t provide the same data that Velodyne’s HDL-64E provides, the MIT story reports. The solid-state tech will almost certainly improve over time, but at the speed automakers are working to get AVs on the road, that’s why cost is something to consider. And that’s why it’s not surprising to read the CEO of a LIDAR developer stating what’s obvious: fully-autonomous cars, early on, will be costly—perhaps as much as $400,000. Until the cheaper solutions succeed in delivering the necessary high-quality data, that’s going to be the reality.